Getting the most out of your WSET education starts well before you set foot in the classroom or put pencil to exam paper. These five simple tips will help you prepare to get the most out of your WSET learning experience and set you on track to achieve your goals. Before you start your course, you’ll want to be clear on what you’ll be assessed on in your examination, so your first step should be to read the specification. The specification covers the learning outcomes you will be examined on as well as guidance on how the examination will be structured and marked. The good news is you don’t have to be enrolled in a course before you have access to each qualification’s specification. 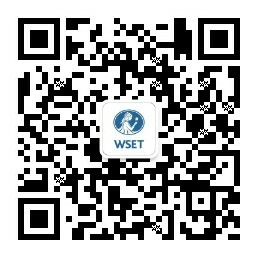 They are all published on the WSET website and can be found on each qualification listing page. Top tip: Knowing what you’ll be assessed on will help you prioritise your studies. For Level 1 qualifications, no pre-reading is required – all the material will be covered during the course itself. For all other levels, some pre-reading is necessary to fully prepare yourself for the classroom or online learning and to get the most out of your qualification. For WSET Levels 2 and 3 both a textbook and a workbook are provided*. You should receive these from your course provider in advance of your course start date. The textbook covers everything that you will be examined on in the theory papers. It is important to know that WSET session plans are designed on the basis that students will have read the relevant chapters ahead of their classroom or online learning session. The sessions are used to review and calibrate this knowledge and apply tasting practice to the learning. For the Level 4 Diploma in Wines and Spirits (retiring July 2019) you will receive reading material for each of the six units. For the new Diploma in Wines (releasing August 2019) all your WSET provided reading materials will be online. Top tip: Read the whole textbook before the first day of your course. Then re-read the relevant chapters as you cover them in class. While you’ll only be examined on your tasting skills at Levels 3 and 4, tasting technique is central to all WSET qualifications. The WSET Systematic Approach to Tasting (SAT) is covered in every qualification and progressively develops a student’s ability to assess style and quality while building descriptive vocabulary. Tasting is often what prospective students worry most about, but practicing this skill is no chore, and the good news is you don’t need any special tools beyond those you already have (your nose and mouth!). Pay extra attention to each glass you pour yourself. Take time to note whether the aromas remind you fruits, flowers, spices, grains or other familiar smells. If you find yourself struggling to make these connections, you’re not alone. Our brains need training to link up the aromas in our drinks with those in our food and the world around us. It’s a good idea to get started on building your olfactory memory bank. A trip to the park or your local produce market is a good place to start. If you want to take a more structured approach, each qualification has a published SAT and accompanying lexicon. You can use the lexicon to start familiarising yourself with all the flavours and aromas for the qualification you are studying. Top tip: Literally get out and smell the roses! And everything else. Time management can be hard to get right, no matter the task, and the big "P" (procrastination) will always be tempting most of us from the shadows. Before you commit to a course ensure you can dedicate the required time to study. Each WSET qualification has a minimum number of recommended study hours required to attain the knowledge necessary to pass your examination. You can find these clearly published on our website and in the specifications. At Levels 2 and up, some of your study hours will be spent in-class and the remainder will be your own reading and revision time. Think about your own schedule and make sure you have identified when you can realistically fit in what’s required. Top Tip: Make a study plan by mapping out when you’ll be able to fit study in with your day-to-day schedule. You may be one of the lucky ones with a photographic memory, but if you’re not (like most of us!) it’s important to be honest about your own learning style. There is no one-size-fits-all approach to studying so knowing what works best for you can help you avoid wasting precious minutes and neurons. If you’re the type of person who struggles to stay focused for long stretches of reading or revision, then make sure you plan for smaller active bursts of study time. If you need a quiet undisturbed space, make sure you have access to one. Be sure to build your study plan around your personal style. Top tip: Make it fun. In the wise words of Mary Poppins, in every job that must be done, there is an element of fun. You find the fun and – SNAP – the jobs a game! By applying these five tips to your pre-course preparations you’ll be setting yourself up to get the most out of your WSET education. Learning about wine, spirits and sake is equal parts challenging and enjoyable and undoubtedly one of the most rewarding experiences many of us have the pleasure of pursuing. *In rare cases your course provider may opt use their own non-WSET published study materials. In this scenario the course provider is required to evidence to WSET that these materials meet the same learning outcomes as the WSET materials.